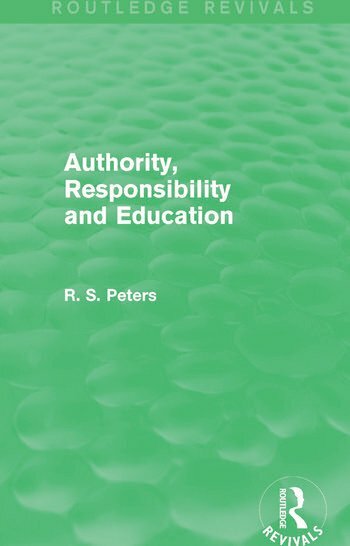 First published in 1959, Authority, Responsibility and Education focuses on the philosophy of education and is concerned with the question of moral education. It was originally based on talks delivered mainly on the Home Service and Third Programme of the BBC between April 1956 and January 1959 but, due to its wide appeal and popularity, it was revised to include work from a further 10 years of the author’s teaching and experience in the subject. The book is written in three parts on authority, responsibility, and education, and uses several theories, including those by Marx and Freud, to achieve his aims. Although originally published some time ago, the book considers many questions that are still relevant to us today.